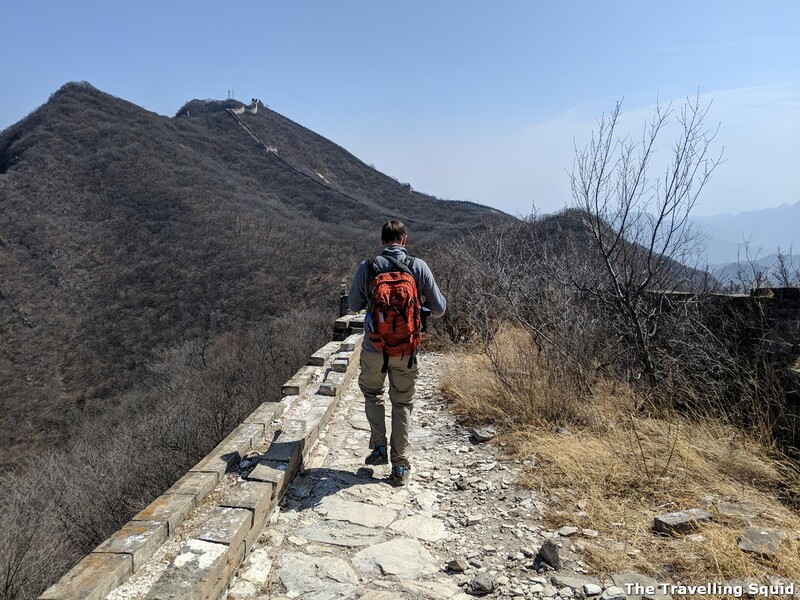 Possibly the best photo of all – highlights the walks in nature and the Great Wall in the background. 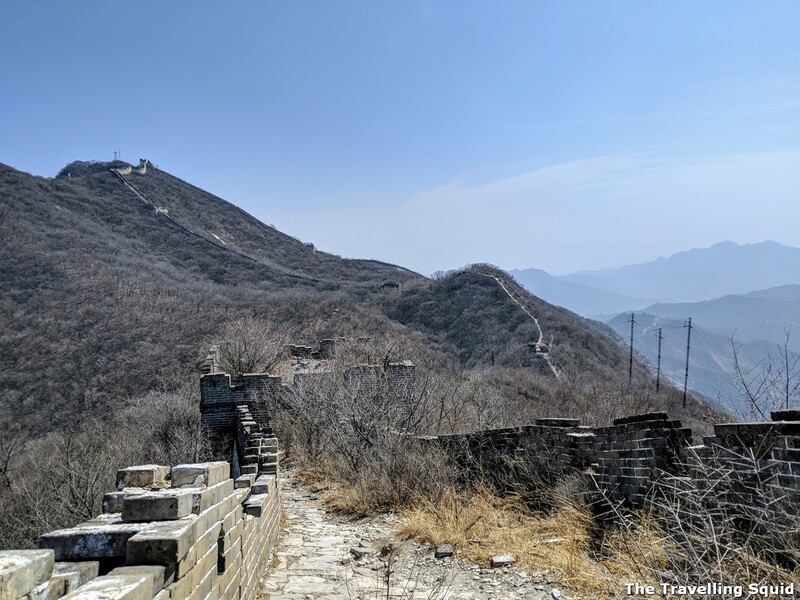 My first visit to the Great Wall of China was in 2013 (about 6 years ago). 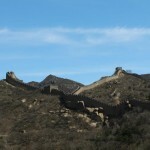 Back then, I visited the Great Wall from Ba Da Ling, which was the nearest site to visit the wall from central Beijing. The wall did look grand, though the number of people taking photos in varied poses was quite a distraction. 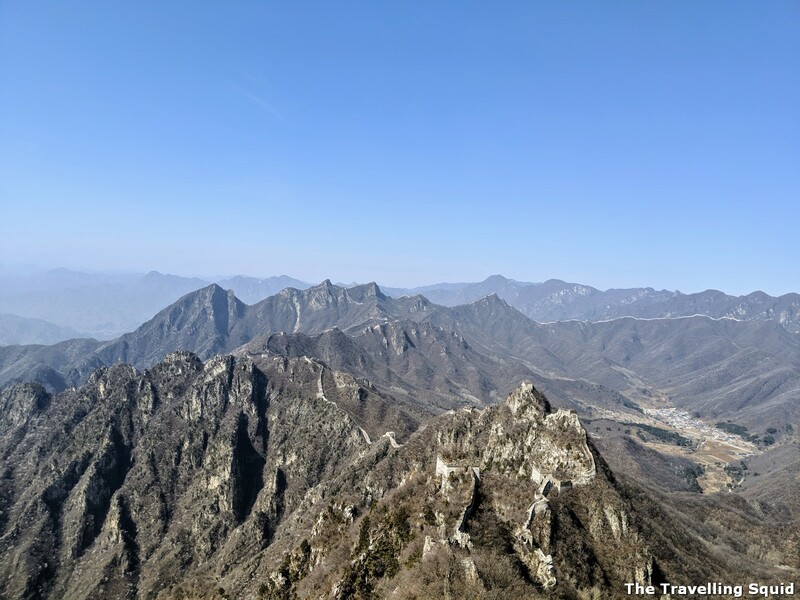 For my last trip to Beijing, I read about doing a Great Wall hike from Jiankou to Mutianyu without a guide. 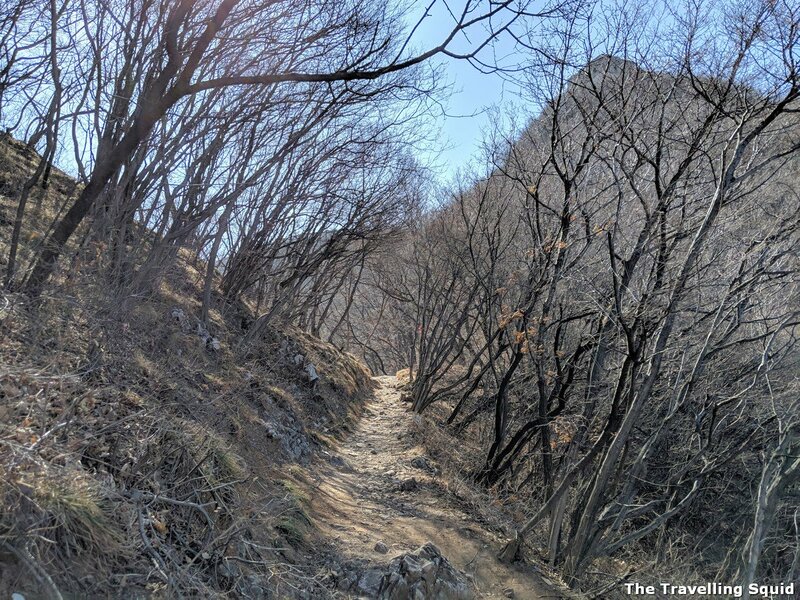 The hike was touted as one of the places to get up close with nature, from Beijing. I read up and found several tours which covered the hike there, but the tour prices were very expensive (close to USD300) per person. The price comes down if you have more people in a group. 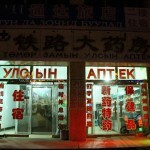 I learnt about Zhang (John) and his travel company Here is Beijing through a Google search. He functions more of a driver, but is very knowledgeable about The Great Wall. 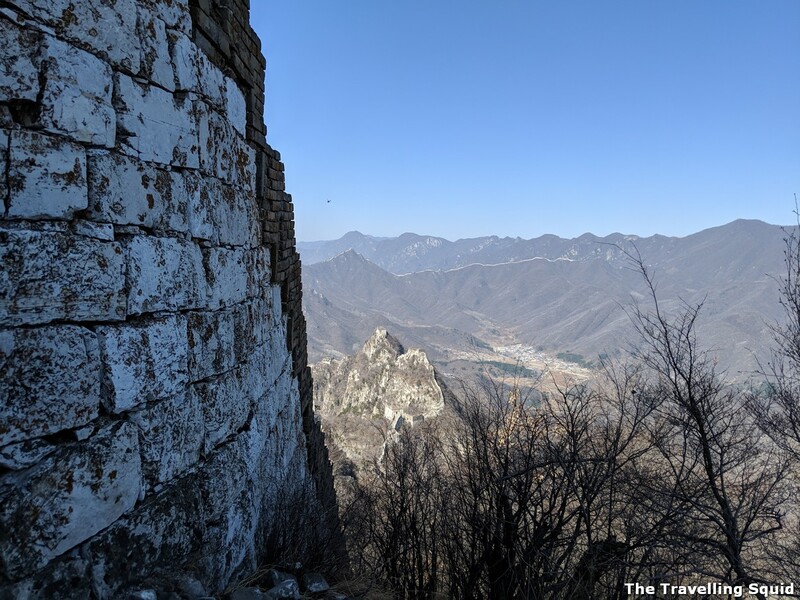 He was also very familiar with directions for the hike, from Jiankou (the Xizhazi village) to Zhang Bei Lou (the first watchtower you will come across at the Great Wall). 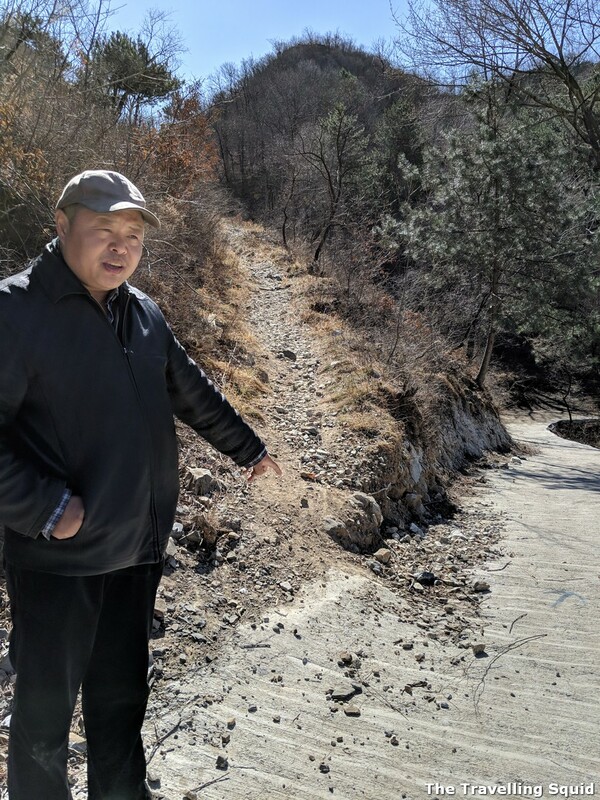 I decided to engage Zhang as a driver after seeing his post on The Great Wall from Jiankou to Mutianyu, which was very informative. He could also communicate well in English. I am definitely not an experienced hiker. The only other hikes I’ve done are short ones in Glencoe, in the Scottish Highlands. The walk was slightly tiring for me at the start, as it involved ascending for about 45 minutes. As for my fitness level, the only exercise I get are long distance runs and the occasional HIIT session. It was tiring at the start when we going up slope. But it got better while going down slope. That said, the challenge was more about maintaining one’s balance to avoid slipping. View from the window of our van. 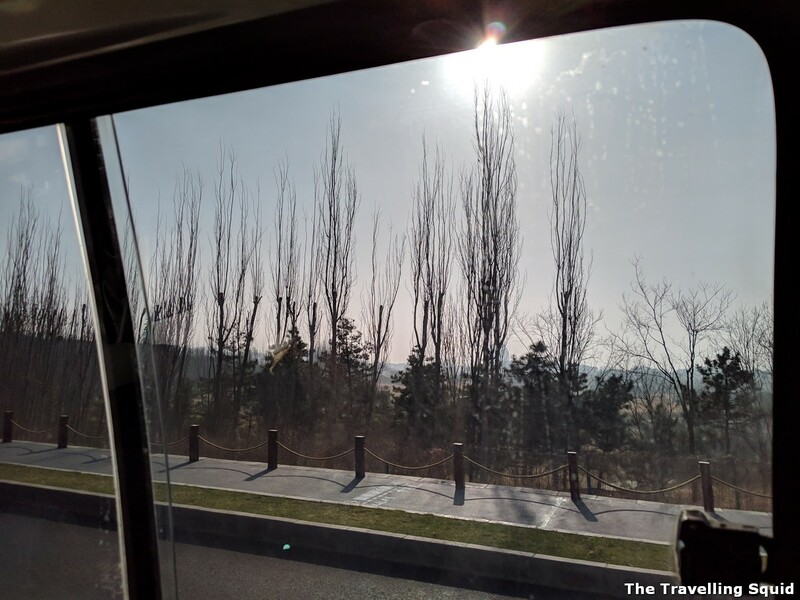 Zhang arranged to pick the group of German travellers earlier and picked me up from my hotel (Qian Yuan International Hotel) at 6.45am. We then headed to the Huairou district. 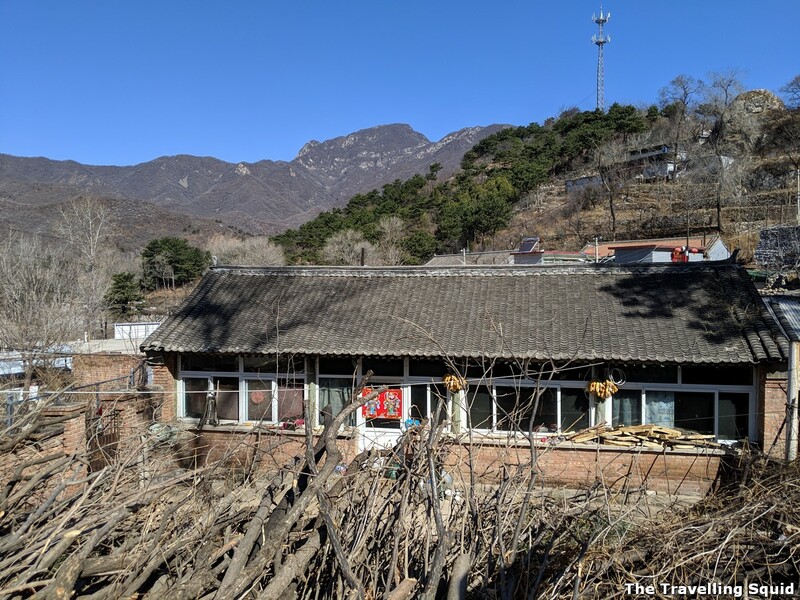 Before approaching the village, Zhang stopped by a cubicle of clean public toilets for our use before heading for the Xizhazi village. He said that there were no other toilets for the next 3 – 4 hours (which is true). The only other toilets can be found at the Mutianyu section – we arrived there at about close to 2pm. 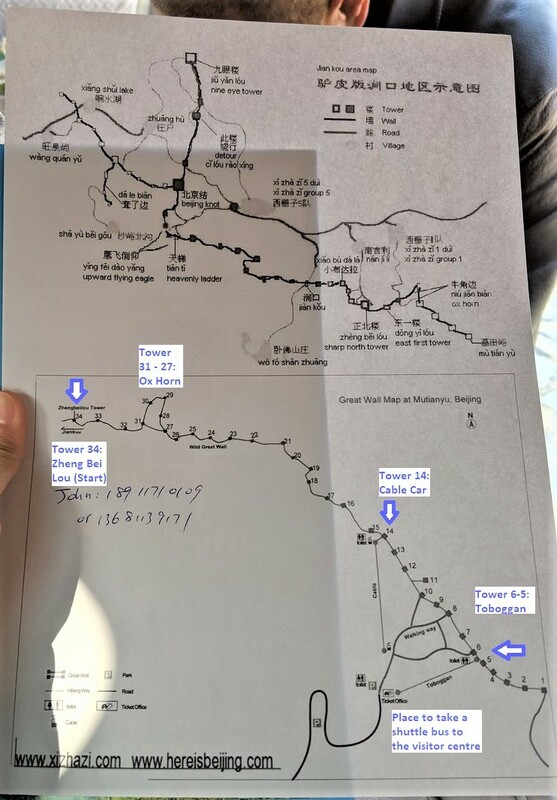 Map of the Jiankou- Mutianyu hike. Credits to Zhang from Here Is Beijing! Zhang also gave us directions on how to walk up the hill and a map (see the one above), which came in very useful. 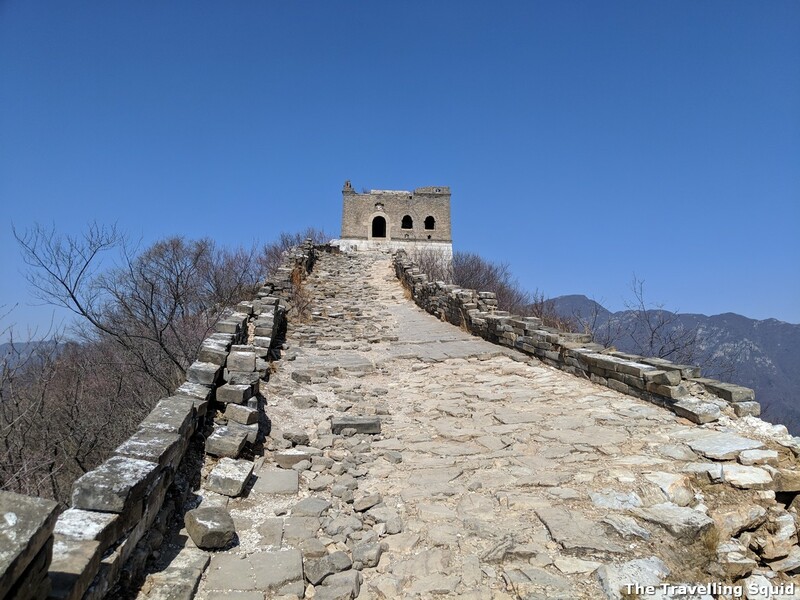 The first watchtower on the Great Wall is Zhang Bei Lou. Zhang also showed us a map drawn by a Swiss client of his. 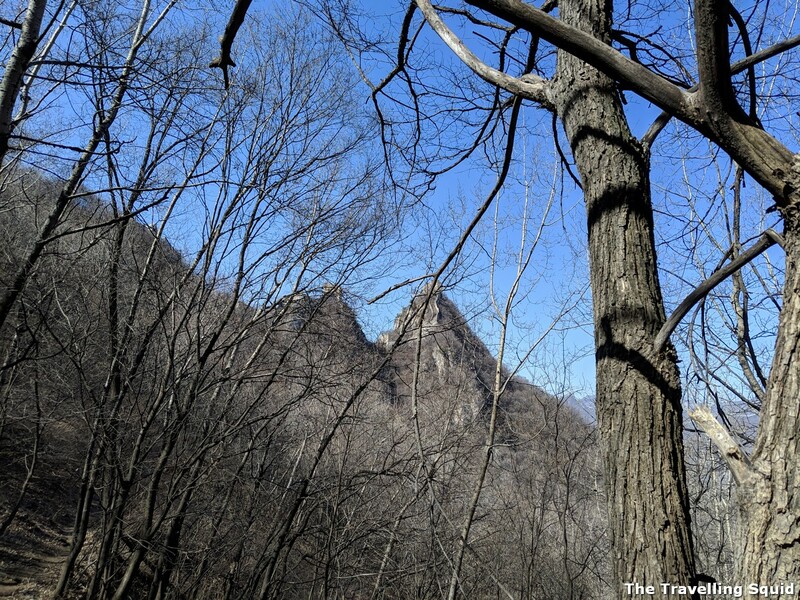 In essence, you will face three forks during the hike from Xizhazi village to the Zhang Bei Lou watchtower. Turn left at the first two forks and then right at the last fork. 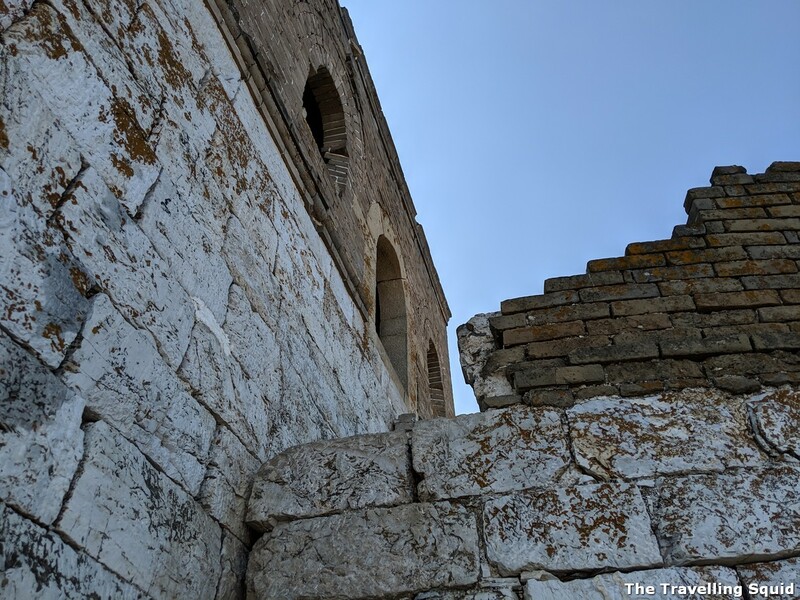 The Xizhazi village was pretty quiet – could be the place for a weekend getaway. We arrived at the Xizhazi village at about 9.45am that morning, after a rather windy path to the village from the stop we had the toilet break at. The village was quiet and it appeared to be a rather clean place. There were a few villagers out and about and they seem to recognise Zhang. Zhang brought us to the correct start point of the trek. 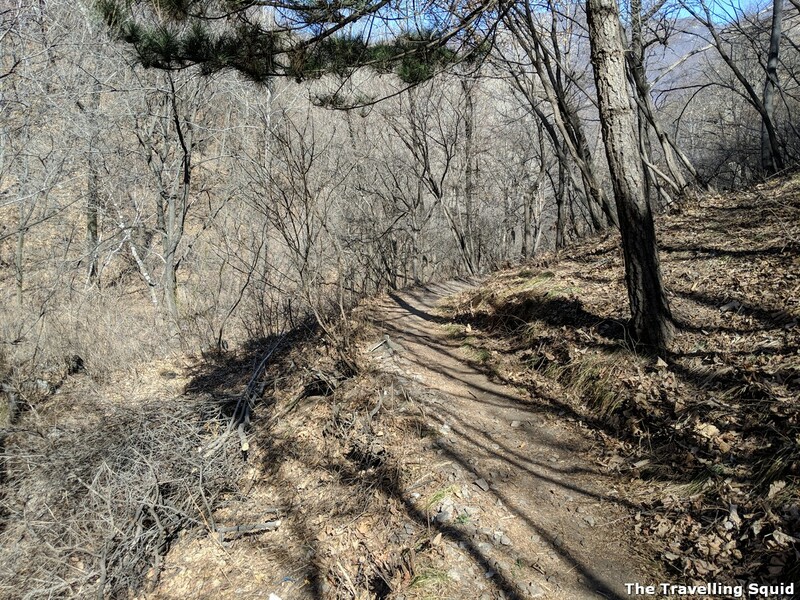 There’s an incorrect path (a steep-looking one) which he showed us too. *Alert* There are signs which dissuade people from climbing the wall. 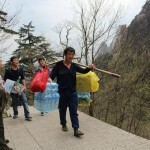 Zhang said that several years ago, a couple died of a lightning strike and the family of the couple sued the village. Hence signs were put up to absolve the village of any responsibility. In view of this inforamtion, should there be risk of a lightning or thunderstorm, do abort the hike! 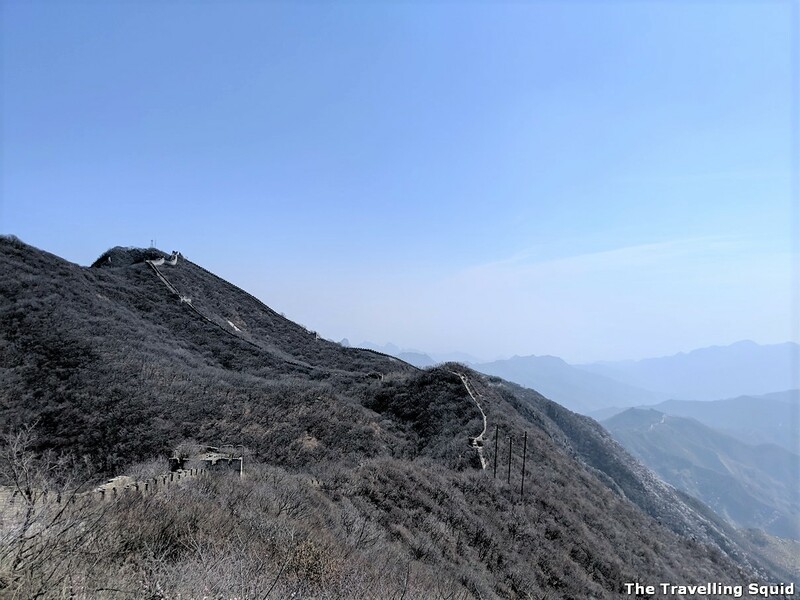 The view of the Great Wall from afar. The path is not too difficult. 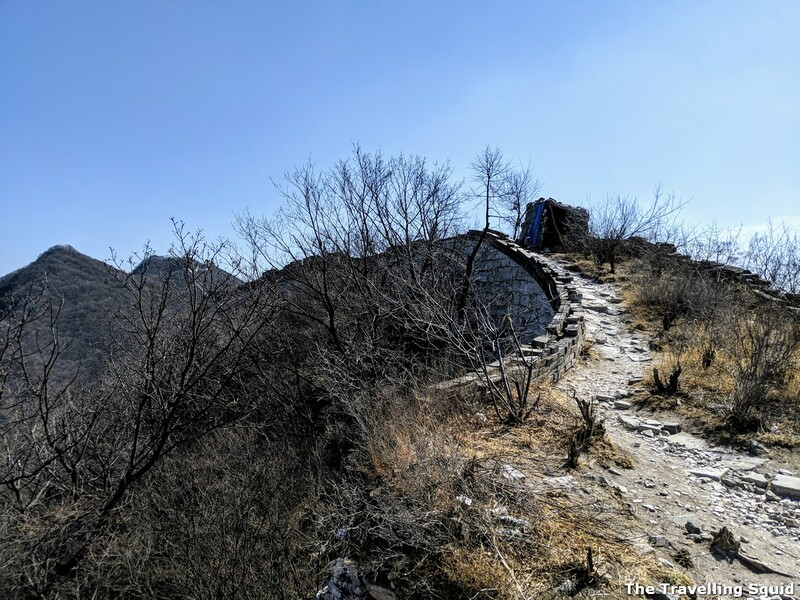 A glimpse of the Great Wall was a great motivation to keep on going. It took about 20 minutes before we arrived at our first fork. (For a person with a low fitness level, that felt like eternity.) Glad J was patient and said that I could stop anytime I wish. I gladly did so several times to catch my breath. I recalled it took pretty long to arrive at the first fork (about 20 minutes). 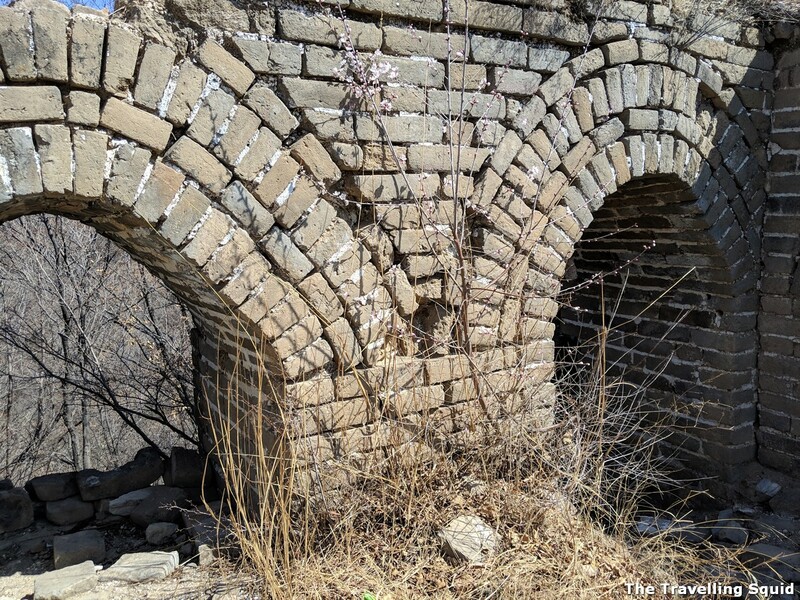 At the second fork, we could see several parts of the Great Wall from a distance – the only motivation to keep on going. Unfortunately I don’t have pictures of the first two forks. But the last fork can be easily identified by a pair of V-shaped tree trunks (see photo below). (Zhang would probably show you a photo of the V-shaped tree trunks too during his introduction). The last fork can be identified by the two trees. Turn right when you see the V-shaped tree trunks. 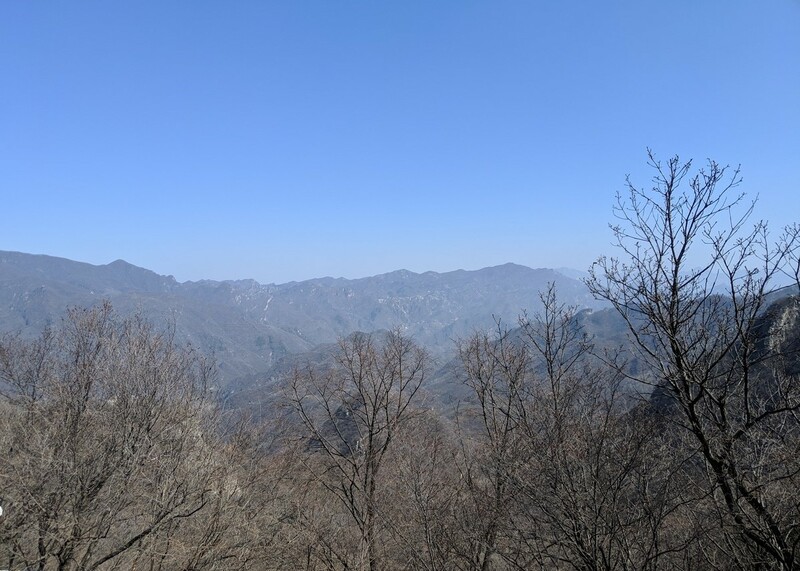 This view from the hill on our way up to the Zhang Bei Lou watchtower. 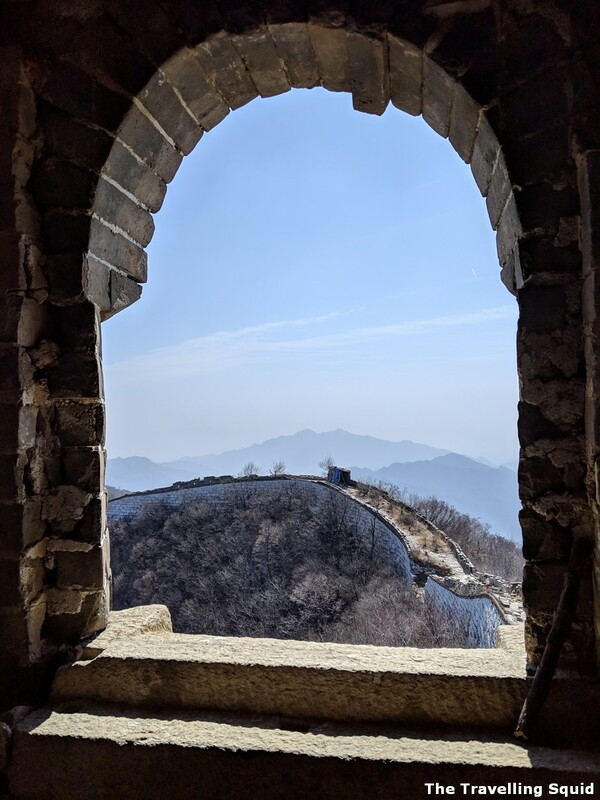 In my opinion, this is probably one of the best photos I have of the Great Wall hike. 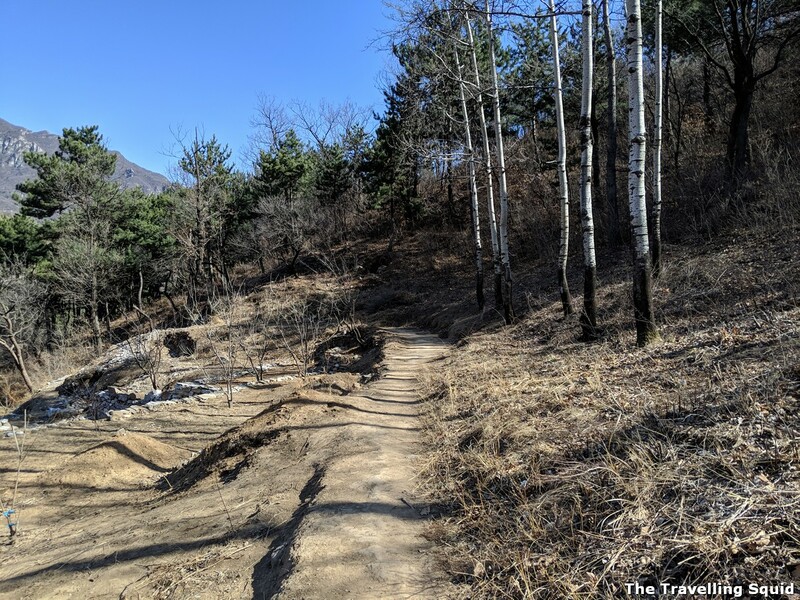 It highlights the path immersed in nature and the Great Wall in the background (You can find a watchtower on the right hand corner). Finally! 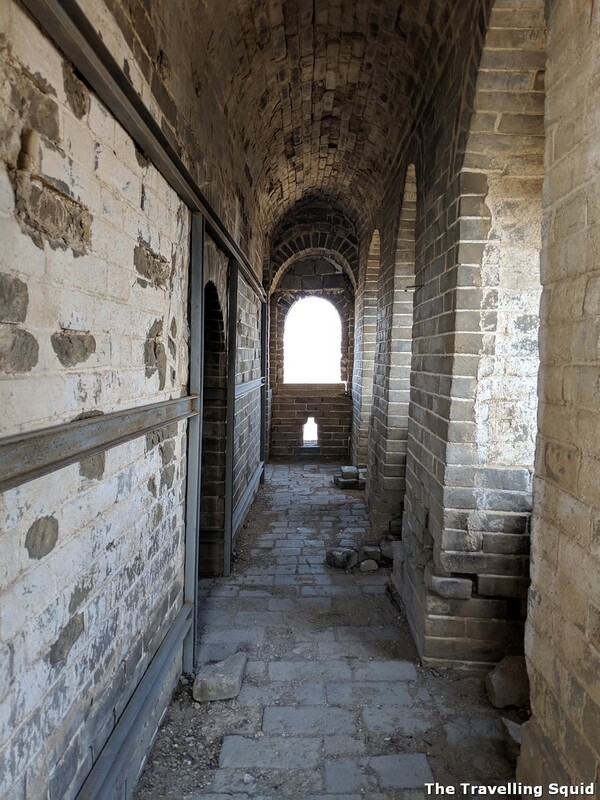 We have reached what seems to be the Zhang Bei Lou watchtower of Great Wall. You do not have to scale this high wall. There’s a lower wall further down when you turn left – follow the arrows on the wall. 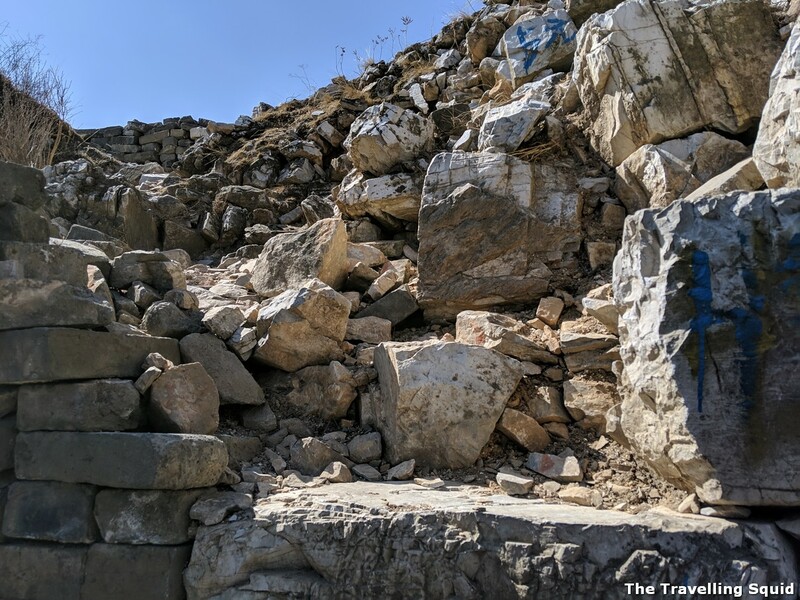 Parts of the wall are still very much intact – think they might have been restored before. Follow the arrows and you will find yourself on the wall soon. 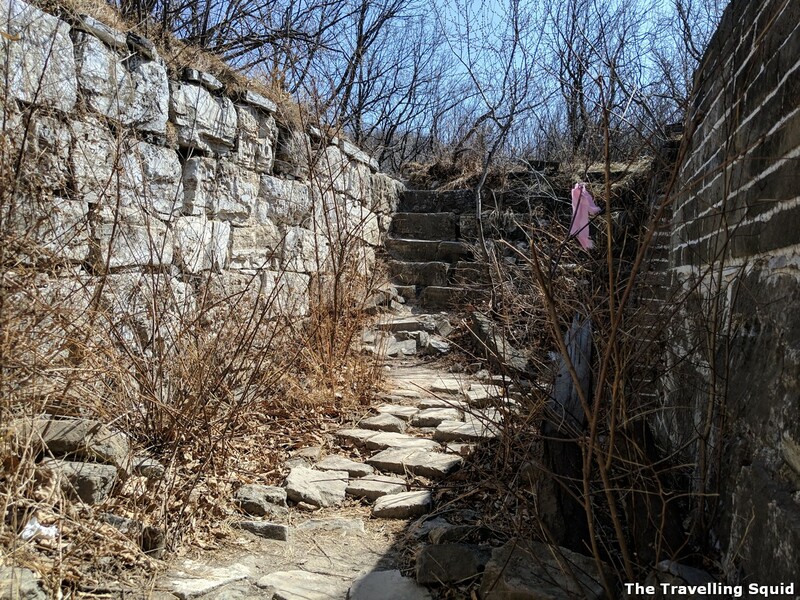 To get yourself onto the Great Wall, climb over these stones. It was not difficult to do so. 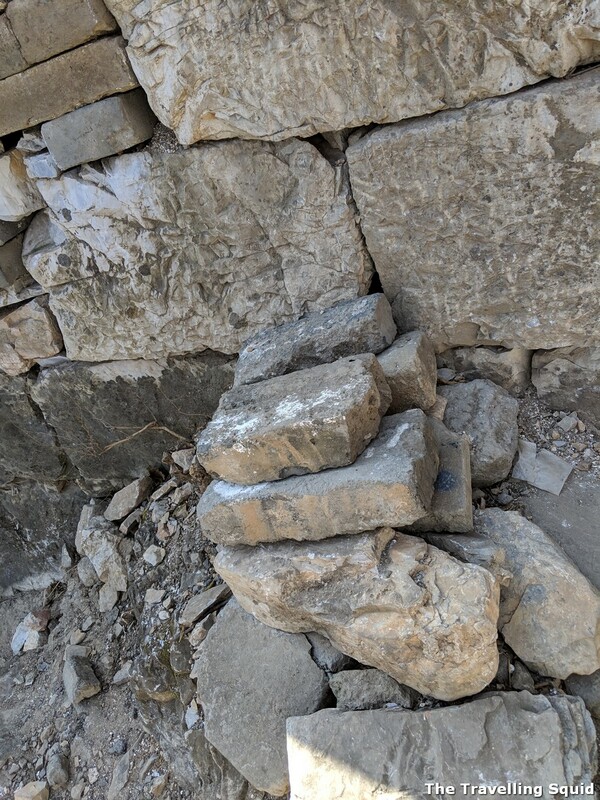 We used these pile of stones to give ourselves a leg up. They were there when we arrived. How it looked like when we first got onto the wall. The view of the hill which we had climbed up. 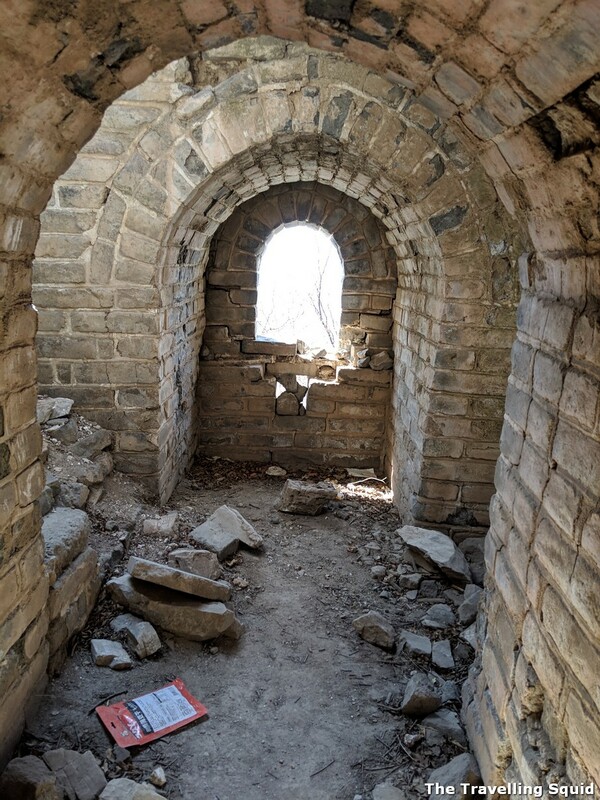 At Zhang Bei Lou, we turned right instead of left and found ourselves at a crumbling watch tower. We turned right when we arrived, which was not the correct way, I must emphasise. But the view from the other watchtower was pretty good. Turning right to head to the watchtower. (Note: Please follow the original directions and turn left, once you’re done visiting this watchtower.) Check the map (photo earlier) if unsure. Seems like a scene from a Chinese painting. Holy moly, the view was pretty good. 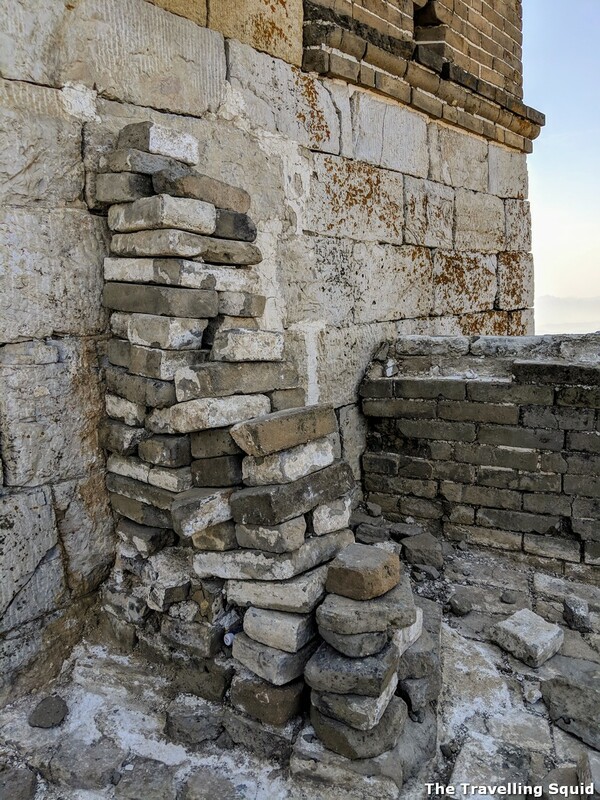 The walls – seems that some preservation work had been done before. A picture of my fellow hiker J. We didn’t see anyone around though we heard voices in the distance. This part of the wall was fine to walk on. When I think this was constructed centuries ago, it’s actually quite mind-blowing. There were some wasps here, I recall. Glad they did not sting us! The Great Wall in the distance. 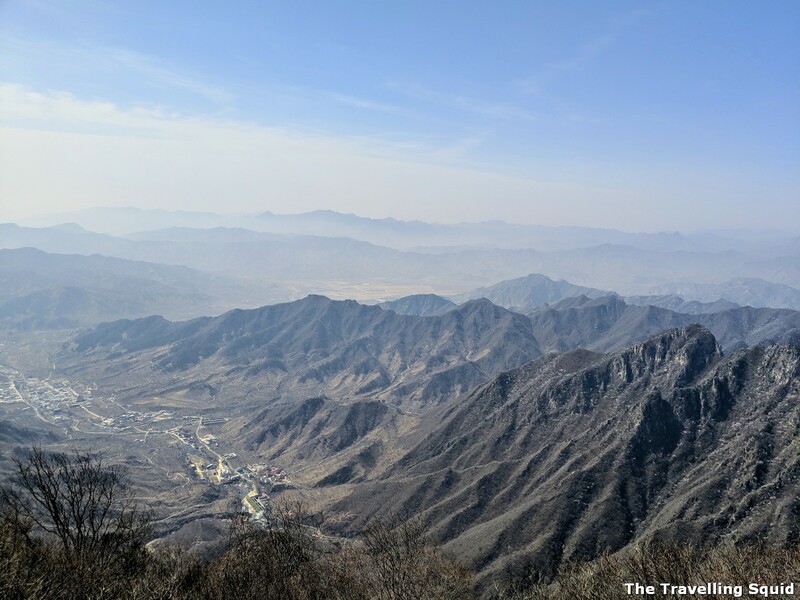 I would say that for me, getting from the Xizhazi village to Zhang Bei Lou was the most challenging part of the whole track. 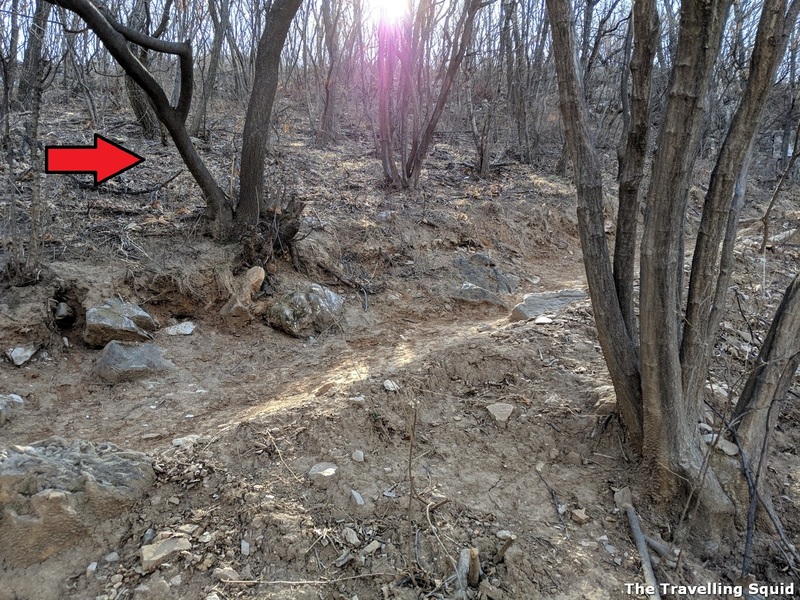 As a city dweller, I’m not as familiar with hiking and navigating through less clear-cut paths when the need arises. If I was alone, I might have taken a while longer and perhaps some detours. Getting onto the wall was not difficult, as you can see from the photos. 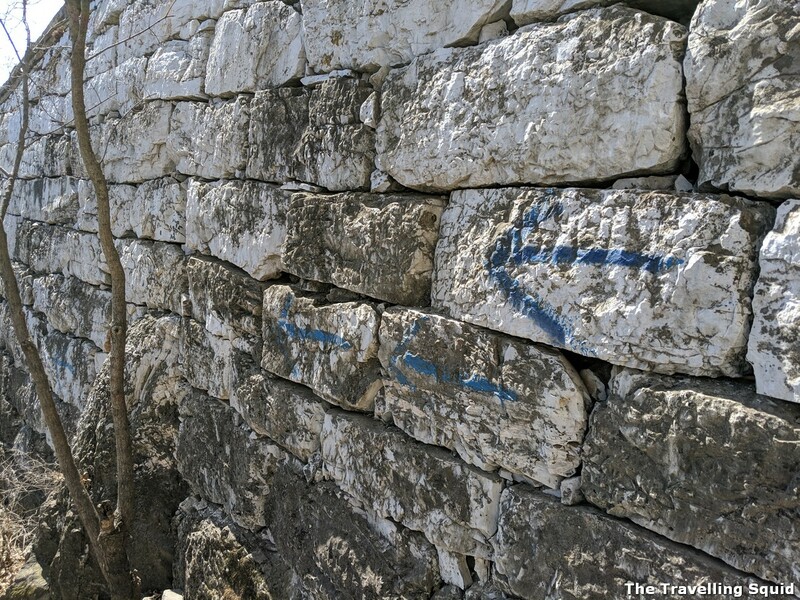 Just follow the arrows and you’ll be able to identify a lower part of the wall which you can climb onto. 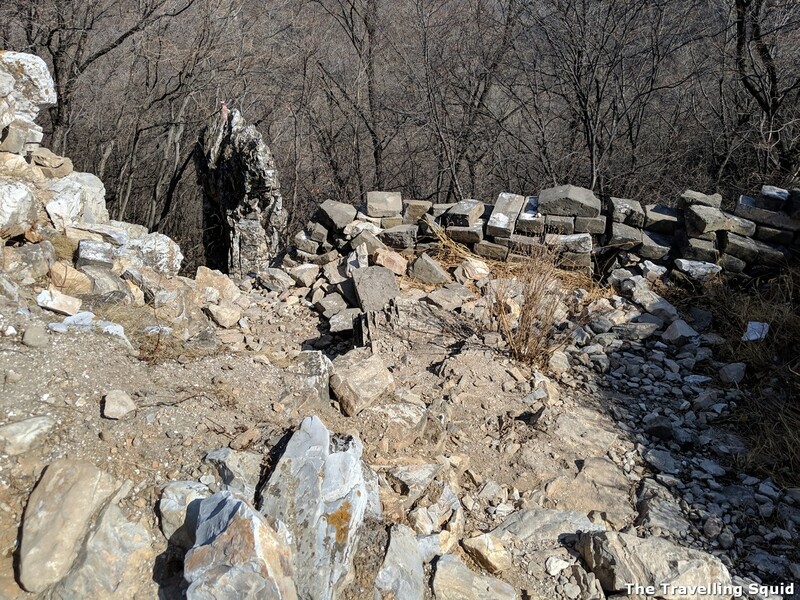 Just to note, there’s hardly any telecoms signal at this part of the Great Wall. So you are all by yourself. 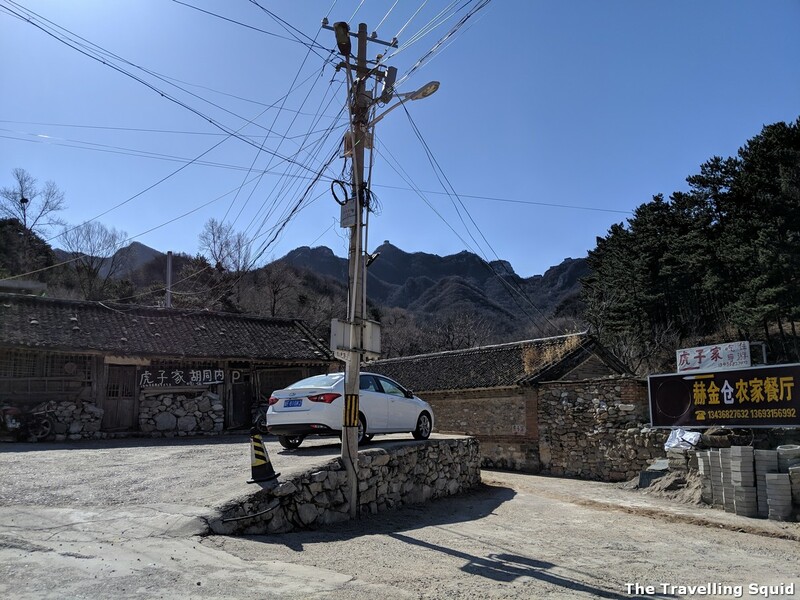 The signal only comes back when you continue further down to the Mutianyu part of the great wall. Separately, I was very glad for the good weather that day. I also checked the weather forecast prior to making the trip. The path was probably as safe as it gets (wasn’t slippery), which was important as we had to go down some very steep slopes. Apparently, it snowed the very next day at the Xizhazi village. As mentioned earlier, lightning risk is a real threat and I recommend that you be discerning especially with regard to the weather conditions. The wild part of the wall was very refreshing to me. 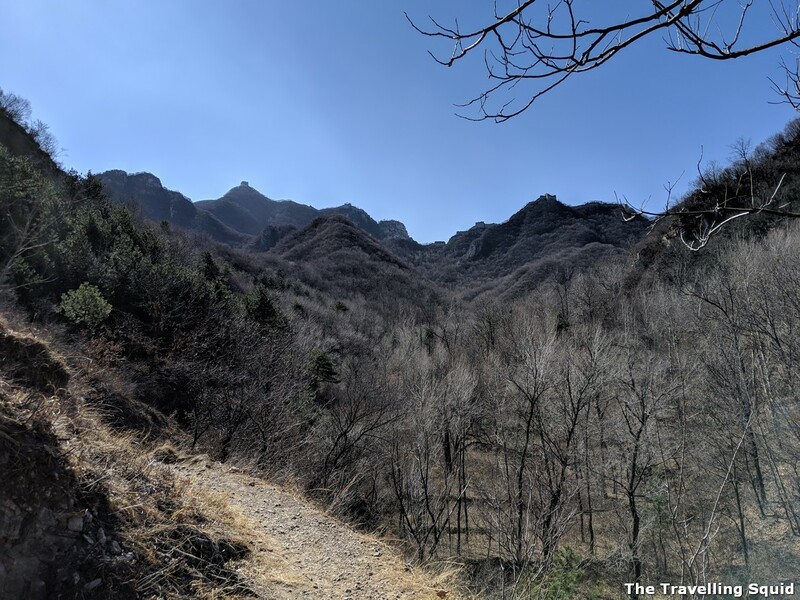 I wanted to experience nature in Beijing, and the hike through the wooded hill from Xizhazi was a gentle introduction to the Great Wall, as it emerged from the wooded hills and stretched across the horizon. Definitely a highlight from my recent trip to China. 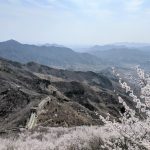 Do see Part 2 the Great Wall hike from Jiankou to Mutianyu. 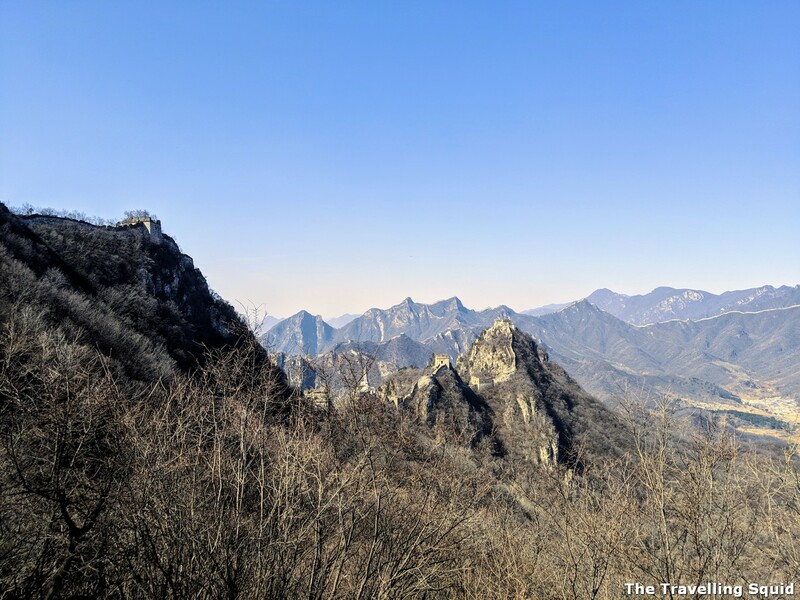 It will cover the highest point of the Great Wall trek, at the Ox Horn. 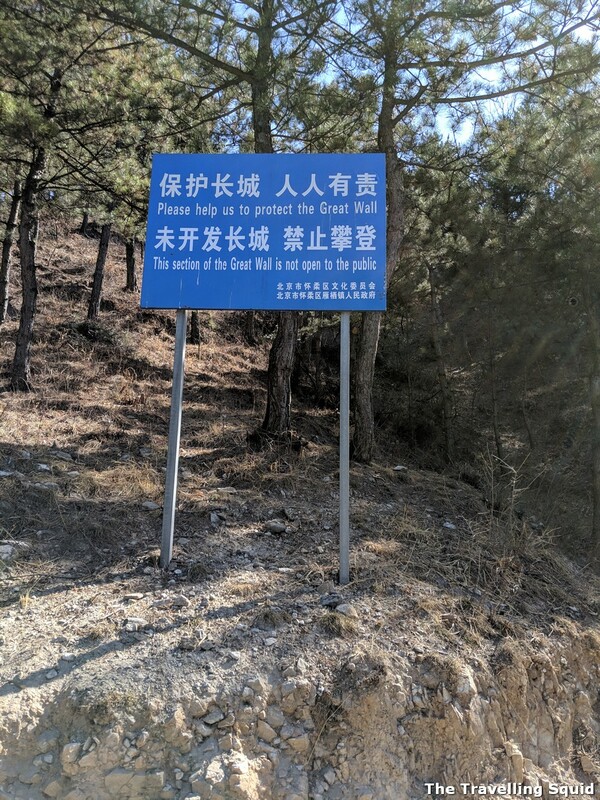 Note: A big shout-out to J, as without his help, I might not have such an easy time locating the Great Wall from Xizhazhi. He was also a great hiking companion – patient, discerning and a great conversationalist!